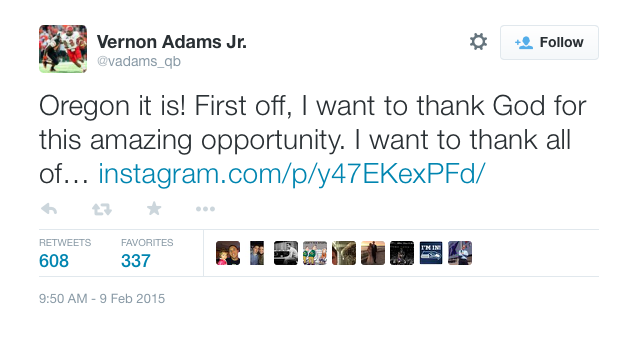 Getting Adams almost certainly fills the quarterback hole that Marcus Mariota left after declaring for the NFL Draft. 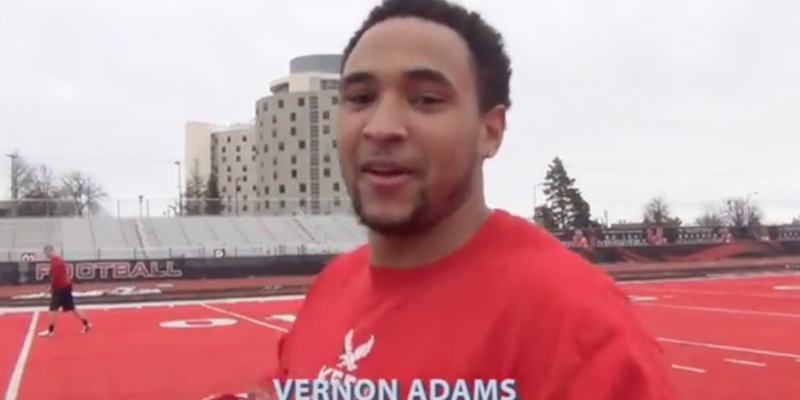 Adams brings extreme skill and experience that none of the current or recruited Duck quarterbacks have. Despite only playing in 10 games last year due to a broken foot, Adams still passed for 3,483 yards and 35 touchdowns to only eight interceptions. Very impressive numbers to say the least, even coming against lesser competition. While it will be impossible to replace Mariota, Adams gives the Ducks the best chance of succeeding next season. His style of play fits very well for the offense that Head Coach Mark Helfrich plays. Along with the rest of the returning players and recruits on offense, the Ducks look set for the start of next season. Landing Adams makes Oregon a powerhouse yet again in the tough Pac-12. Stay tuned to FishDuck.com for the latest in Ducks sports news.